Dr. David S. Eingorn is a Board-Certified Orthopaedic Surgeon specializing in adult reconstructive surgery and general orthopaedics. He is one of the founders of our medical group. Dr. Eingorn graduated with his bachelor’s degree in biology from LaSalle University in Philadelphia, and received his medical degree from the Temple University School of Medicine. His internship in surgery was carried out at the Presbyterian University of Pennsylvania’s Medical Center and was followed by his orthopaedic residency at Thomas Jefferson University Hospital. Dr. Eingorn has received recognition as a "top doc" in our region and additonally holds a patent, the Universal Halo, which is used internationally for fractured spines. He also invented a hip jig for the DePuy Total Hip system. Dr. Eingorn continues to stay on top of the newest technologies in the field of orthopedics. He is one of the few surgeons in the area that has trained and performs robotic assisted surgeries. His hospital staff appointments include active staff status at Capital Health Systems at Mercer and Fuld Campuses in Trenton, NJ, and Robert Wood Johnson University Hospital at Hamilton in Hamilton, NJ. 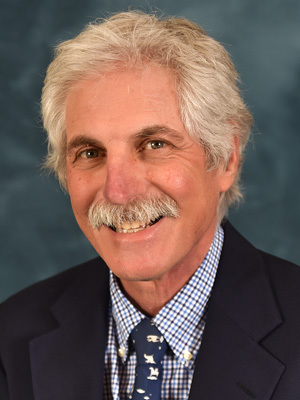 He also serves as an associate staff member at St. Mary Medical Center in Langhorne, PA, a consultant for Lawrence Rehabilitation Center in Lawrenceville, New Jersey and a research consultant for Zimmer Orthopaedics Corporation. Membership in a number of professional organizations and a variety of publications and research are all parts of Dr. Eingorn’s ongoing professional development and success. Dr. Eingorn's professional history spans a variety of experiences and responsibilities, including volunteer surgery duty during the 9/11/01 attacks of the World Trade Center in New York City. He lives in Yardley, PA and is married with two children. "I would like to share my experience of my hip replacement surgery by MBO. First I have been a patient of Dr. Eingorn since 1984. So I had complete confidence in him and the team at MBO. So when we did this as an outpatient, I was the first, I had no hesitations or reluctance at all. If this was going to remove the pain that would be fantastic. When I told family, friends and co-workers they were a little shocked that it was even possible. The procedure was completely explained to me. I met with Sue and Denise prior to surgery to show me where I would be and what was involved after surgery. I was very comfortable with what was going on. For me, I really just took a nice nap. Since I have a problem with nausea after surgery, appropriate steps were taken and I was not sick (a first for me). I was up moving around that day, which was pretty amazing, even though I used a walker. At this time, one year later, I have no pain. I have no reservations about doing just about any activity. I have always recommended MBO for many years and I will continue to do so without hesitation." "I could not be more satisfied with the results of both surgeries by Dr.Eingorn, both he & Paul Villalon treated me like a friend or even more a family member. As for my recovery period, Nicole Hunter is a true professional, treated me with compassion that was truly above and beyond. Words can't express my gratitute to the MBO staff."